The sharing economy is a fast-growing economic system and examples of it are everywhere; Airbnb allows homeowners to rent out rooms and homes, bike-sharing services like Lime let people rent bicycles, and coworking startups like WeWork provide members with nontraditional physical spaces to do business. This system offers many benefits, including use without ownership, convenience and the slowing of overconsumption, which first sparked the idea for Wayfinder startup Brevvie – which stands for briefly rent everything – while co-founder Kristine Smith was taking a break from cleaning her garage. 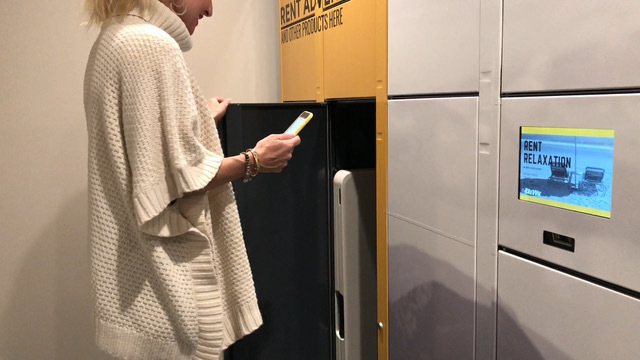 Brevvie’s smart lockers give apartment community residents the ability to rent name-brand items with a few clicks in their mobile app. With the Brevvie mobile app, residents can instantly reserve and rent name-brand items ranging from vacuums and coolers to karaoke machines and board games. This eliminates the need to purchase items outright and store them. Once the item is selected, the resident goes to the on-premises smart locker to retrieve it. After the rental period ends, the user returns the item in the condition they found it in. And after each rental, a designated Brevvie user checks the item to ensure it is in the best condition so that all users get a fresh experience every time. Smith and fellow co-founder Tim Murphy leveraged their combined experience in commercial real estate to bring the sharing mentality to multifamily housing with the Brevvie platform, which launched at two apartment communities in February. “The goal is to be able to have people live their lives and experience things without overconsuming and being wasteful,” said Smith of her mission for Brevvie. Smith and Murphy work with property managers to survey tenants so that each smart locker’s contents are tailored to each community’s own particular wants and needs. 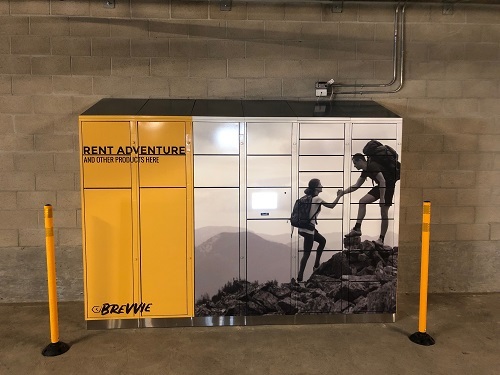 Since the launch of their pilot program, Brevvie has garnered excitement from renters who understand the value of renting versus purchasing and storing, as well as from developers who want the smart lockers in their apartment communities all over the country. To learn more about Brevvie, click here.